For preparing rava idly, first roast the rava and when it turns golden in colour, put off the stove and keep it to cool. 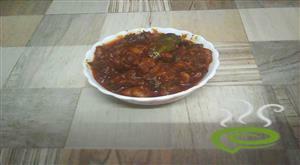 Fry the Bengal gram dhal and cashew nuts also and when it becomes cool, mix it with the roasted rava. Mix about 1/2 cup of curd into the rava, Bengal gram dhal and cashewnut mix and keep it for 2-3 minutes. After 3 minutes, add 1 or 1 1/2 cup of curd(depending on the sourness of curd) into this mix along with required quantity of water. Add chopped coriander leaves also. 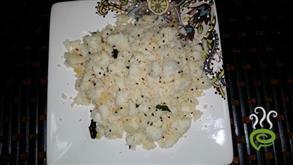 Apply some oil into the idly thatt with cotton. 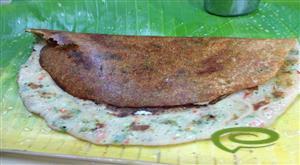 Then put one big spoon each of the paste in each hole of the idly thatt as shown below. Put some water in the idly maker for getting required steam for the idly and keep the idly thatt on the burning stove by closing the idly maker. 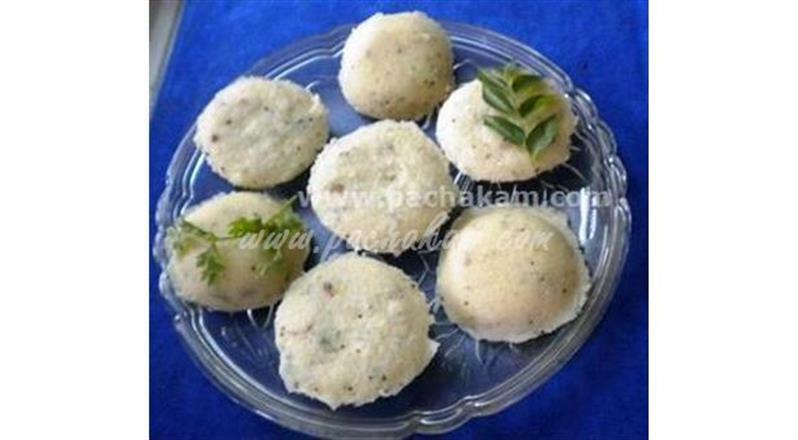 After 15-20 minutes, put off the stove and remove the idly maker from the stove and the idly is ready. 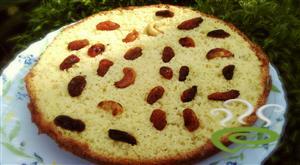 This can be served with coconut/onion chutney, sambar etc. This is a delicious break-fast which will definitely be liked by all members of the family.